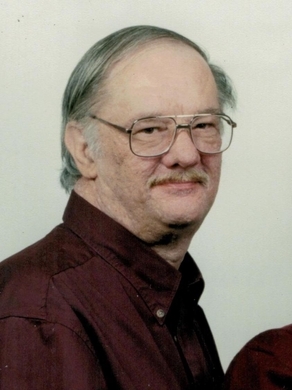 Dennis Gene Waller, who was born to Cecil and Lois Waller in Creston, Iowa on April 26, 1948, passed away at Mercy Medical Center in Des Moines, IA on January 9, 2018. Visitation will be held Thursday, January 11, 2018 from 5 to 7 p.m. A funeral service will be held Friday, January 12, 2018 at 11:00 a.m., both at Ernst Funeral Home. Interment to follow at Ellston Cemetery, Ellston, IA. Dennis spent his childhood in Mt. Ayr, IA before his family moved to Ida Grove, IA. After graduating from Ida Grove High School in 1967, Denny moved to Colorado where he worked for Samsonite. Upon returning to Iowa, he met the love of his life, Donna Box, and were united in marriage in Galva, IA on February 27, 1971. Denny and Donna moved to the Winterset area in 1982 and resided there until moving to Woodward in 2010. Over the years, Denny owned a number of different businesses including an appliance repair shop and an auto body shop with his brother. During the 1970’s, he worked for Iowa State University and was part of the team that developed the first computer. Denny loved computers, working on cars, music and supporting his favorite football team, the Minnesota Vikings. Denny was an avid Iowa Hawkeyes fan. His family, all having attended Iowa State, believe he only supported the Hawkeyes to “poke the bear” and make family get-togethers more interesting. He lived for his grandchildren and enjoyed giving them countless lawn mower rides. Denny is survived by his loving wife Donna; children Misheal Waller, Michael (Ellen) Waller and Marisa (Ron) Nicolaisen; grandchildren Asher, Valen and Ivan; uncle Robert Wright and sister-in-law Nelda Waller. He was preceded in death by his parents and brothers Cecil Jr. and David Waller.